Who cooks for you? Who cooks for you-all? or Hoo hoo hoo hoo hoo hoo hooooo-ah! 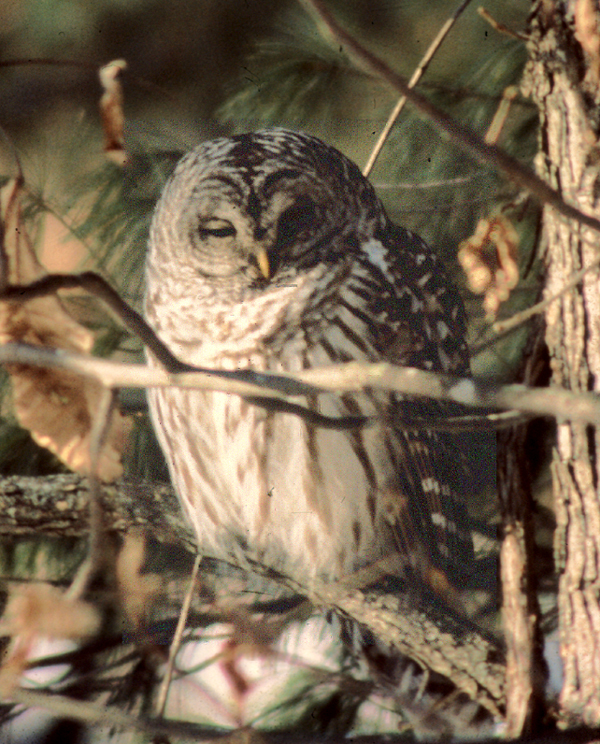 or you might hear the screech of baby barred owls. 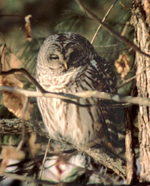 The Great-horned Owl's hoo-hoo-hoo-hoo is softer than the Barred Owl's, and does not have an easy-to-recognize rhythm. Can you hear the two owls calling to each other in the first clip? 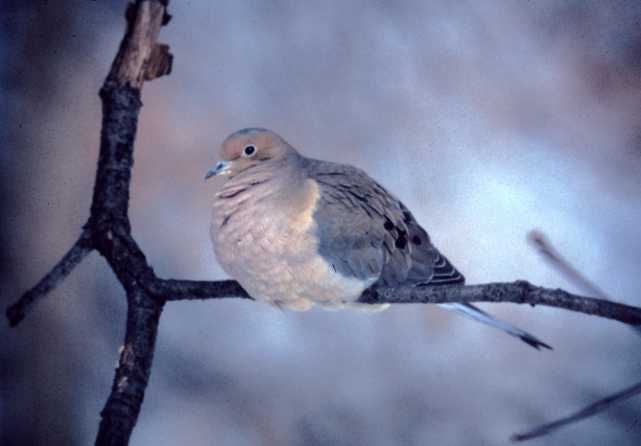 Adults growl when they are alarmed near the nest. 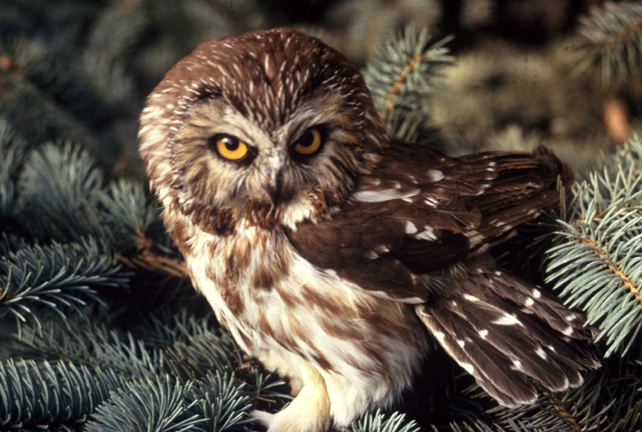 The Northern Saw-whet Owl may sound like co-co-co-co-co, which some people think sounds like a truck backing up. On migration they make a different note.